Keep calm, the Bible says, despite the cries of alarm. Stuff is bound to happen – teachers and nurses may well give notice of their intention to strike – but this is not the end of the world. 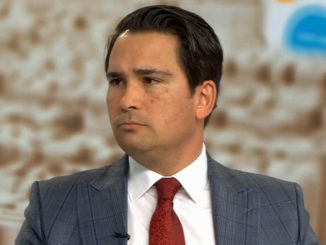 Someone should tell Opposition leader Simon Bridges, who has spent the week preaching fear and predicting calamity at the mere prospect of industrial action being taken, should the current rounds of negotiation fail to reach a satisfactory compromise. Obviously, Bridges is talking to the corporate chieftains who are still sulking in their tents over the election outcome last year. Even if Bridges can’t, the rest of New Zealand can see that our schools and hospitals have serious recruitment and retention problems, largely driven by poor wages and conditions. Politically, banging on this tired old reactionary drum – Strikes! Uncertainty! Favours for union mates! – is an interesting tactical choice for the new leader to make. Does National (via its media friends) really want to put itself in the position of arguing that nurses and teachers do not deserve higher pay, and a sizeable reward for the efforts made by nurses in keeping the health system afloat during the nine years in which public health was systematically starved of adequate funding? Similarly, do the nation’s teachers not deserve due compensation for their efforts while National was busily starving operational grants and special needs services in order to artificially balance the books – even if that neglect meant running up massive social deficits? According to recent NZEI research, over eight out of ten New Zealanders think teachers deserve a pay rise (both as due reward, and as a way of addressing teacher shortages) and over two thirds of them support a 10% pay rise. Plainly, Bridges is putting himself on the wrong side of public sentiment here, mainly in order to undermine business confidence. It’s not a pretty sight. The business media have typically assumed that ‘good fiscal management’ is simply holding down spending, balancing the budget and reducing debt. But it is hardly good management to hold down spending if in the real world people can’t find jobs or cannot afford acceptable housing or are living in poverty or can’t get the health care they need. Similarly ‘good economic management’ is not just strong GDP growth. It is hardly good economic management if GDP is growing but the income is not fairly spread or growth is in areas that provide a poor basis for future development or creates growing environmental degradation. …Growth in GDP per person continues to be weak with a rapidly growing population: GDP per person rose only 0.2 percent in the September quarter (down from 0.5 percent the previous quarter), and 0.8 percent over the year, worse even than recent performance. GDP per person has been increasing at far below the rate in the 2000s, when GDP per person was increasing at an average 2.6 percent a year. Wage and salary earners’ share of New Zealand’s income can be calculated from the annual National Accounts Income and Expenditure figures for the year to March 2017, released in November. It showed a sharp fall in the share of the nation’s income (gross domestic income) going to employees or wage and salary earners – the labour income share. It fell to 48.7 percent of the nation’s income from 49.4 percent in the year to March 2016. It has been falling since 2009 when it was 50.8 percent. The main beneficiaries have been local corporate shareholders, though the self-employed have gained share slightly. The OECD median labour income share at the same period was 54.7 percent, Denmark had 61.2 percent, and Australia 51.7 percent…. …..Jobs on collective employment agreements were 2.2 times as likely to get a pay rise as those which were not, and were more likely to get a pay rise of any size ranging from less than 2 percent to 5 percent. Only 45 percent of jobs that were not on a collective got a pay rise during the year whereas the Centre for Labour, Employment and Work reports 99 percent of those on a collective stating pay rates got a pay rise in the year to June 2017. No wonder National – and its corporate mates! – are so opposed to any increase in collective bargaining power. One of the ironies of teaching is that those entrusted with preparing young people for the modern world tend to be relatively old – the average age of those in the teaching profession is 57.5 – and as mentioned, teaching is simply not attracting an adequate replacement level of trainees and recruits, either domestically, or from offshore. On current statistics, roughly 20% of the profession is older than 60 and nearly 10% are over 65. In 2009, 1,200 trainees completed an initial teaching qualification for secondary school teaching : in the wake of steady annual declines, this had fallen to 775 by 2015. ….In the specialist areas (eg natural and physical sciences, maths, information technology, computer science, chemical sciences etc) New Zealand was training 1,135 teachers in 2009, but only 760 in 2015. The age profile of teacher trainees is just as disturbing, with a 27% decline evident among the under 25 age group since 2009, and declines of 29% and 56% among the 25-34 and 35-49 age groups respectively, over the same period. All up, this is a profile of a profession in serious trouble – and arguably, it is also a reflection on the past nine years of absentee government. Improving pay and conditions will be crucial to turning this situation around, and if it takes strike action to deliver a wake-up call, then so be it. The response needed can come only gradually, as acting PM Winston Peters has indicated. In the meantime, there seems to be absolutely no reason to panic. What we are seeing is the bargaining phase of negotiations, accompanied by a (largely symbolic) intention to strike. All along, nurses have signalled their intention of co-operating with DHBs to ensure essential services are maintained during the periods of industrial action. Industrial action is always a last resort, and is deployed mainly as a lever to ensure that a fair compromise is ultimately struck. Bridges, fort his part, is trying to package as stability what was actually institutional paralysis, and political immobility. In government, National chose to be bystanders as these problems developed, and now seem bereft of ideas in opposition. They would do everyone a favour by getting out of the way, while others do the job that’s now required. While the current pay round and negotiations are in white collar occupations, its worth keeping in mind the tradition of union activism when exercising the right to strike could get you killed. The risks involved meant either getting killed in an unsafe job, or out on the picket line. Here’s the late, great Hazel Dickens evoking that time, with “Fire in The Hole”.